Everyone wants to look younger, with smooth, healthy, hydrated skin. But how do we achieve this? It is my firm belief that our nutrition is the most important aspect of healthy skin. People who eat adequate fruit, vegetables, fish, nuts and avocado as well as over 2 litres of water generally have healthier skin. This type of diet also maintains healthy hormone balance which is important to prevent acne and oily skin. The human body requires water for all aspects of health. In my clinic when I conduct skin facial scanning I often see dehydrated skin which can be remedied so easily. We need between 1.5-3 litres a day depending on our level of activity and the weather. There is actually no point in pursuing any other skin care cream or tablet of the skin is dehydrated. Many supermarket products act like detergents, stripping the skin of its natural oils. Choose a body wash, face wash and moisturiser with natural ingredients. When looking for a good skin care product, I look at the ingredients. Skin care that contains botanicals such as turmeric, kakadu plum, vitamin C, Vitamin E and apple cider vinegar can be found in good quality skin care products and are also good as part of our diet. 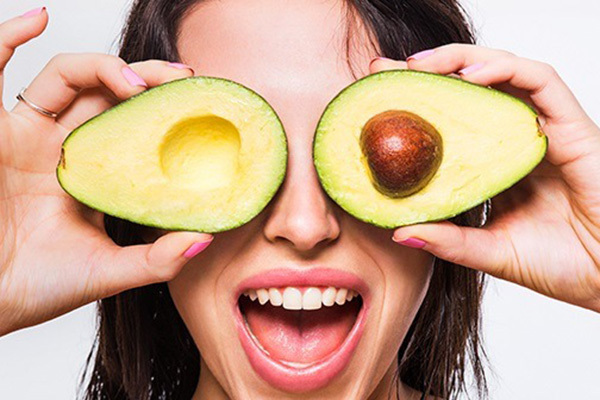 Foods like avocado, oily fish such as mackerel and sardines, seaweed, cashews and almonds are high in Omega 3, Vitamin A and Vitamin E. These fat-soluble vitamins are excellent for psoriasis, dermatitis and other inflammatory skin conditions. Eat fish for dinner twice a week as well as 4 avocados within that week and see what a big difference it makes! To protect the skin against cellular damage, foods such as beetroot, berries, plums, pineapple, paw paw, turmeric and pomegranate are excellent for their antioxidant content. Try making a smoothie with some of these ingredients and drink it each morning, it is excellent for pigmentation and dark circles around the eyes. Remove the dry skin from your body by using an exfoliating mitt. For the face, find a good exfoliating cleanser or exfoliating cream. Exfoliation helps to remove dead skin cells and encourages smooth, supple skin. Alcohol disrupts the detoxification processes of the liver. Coffee and tea dehydrate the body and affect kidney health. Our liver and kidney must be in good working order for optimum skin health. See if you can replace these drinks with pure water. A small squeeze of lemon or a teaspoon of apple cider vinegar is a good addition. Avoiding the sun between 11am to 3pm is important due to the UV damage it can cause. Damage from strong sunlight is often irreversible and skin cancers effect 2 out of 3 Australians by the age of 70 which is an alarming statistic. Our clinics carry state of the art skin scanning technology to test UV damage, skin sensitivity, hydration, blocked skin pores and even determine the age of your skin! This is an excellent way to check your skin’s current health and receive guidance on which products to use and what foods to eat to improve your situation. Blood testing for food intolerance and vitamin deficiencies is also an excellent way to tailor the diet to improve skin health. Your skin is an outward reflection of how you look after yourself internally. Look after your body and it will in turn look after your skin for years to come. Let us help you resolve any skin issues you may have > Call our clinic on (07) 4946 7910 or book your consultation online.